About three years ago my friend Mandi overheard me complaining about my job. At the time I was working for UPS and we had just come out of peak season. For anyone that has ever worked for a shipping company, peak season (November/December) is the most horrible, soul sucking, lose-your-faith-in-humanity season of the year. After letting me vent my rage about how ridiculously evil people can become when their packages to celebrate the birth of Jesus are delayed by Jesus’s dad himself, she mentioned that her work, Western Governors University would probably be hiring soon. My first thought was, “What the heck is Western Governors University?” I must have had a facial expression that perfectly conveyed that exact question because without even skipping a beat Mandi told me. It was obvious she has said that before. As much as UPS made me miserable, I knew the shipping industry wasn't going anywhere. With the recent boom in for-profit higher education my spidey sense was, and still is, tingling about the growing amount of government subsidized student loan debt. My fear was that it was going to be a bigger and poppier bubble than the housing market ever was. Sure, UPS was making me miserable, but Higher Ed seemed like a pretty risky career venture. “WGU is a non-profit school. The goal of the school is to be affordable and respected. I got my MBA from there and graduated debt free,” she said. It sounded like a nice place to work, but I blew it off and went back to being miserable for a few more months. Then Mandi called me and told me about a job she wanted me to apply for. I would work under her in the online marketing department handling their website’s search engine optimization. I had no idea what SEO was at the time, but she promised to teach me. I went to a couple interviews, met the team, took the offer when it came, and with a teeny bit of reservation, quit my job at UPS. 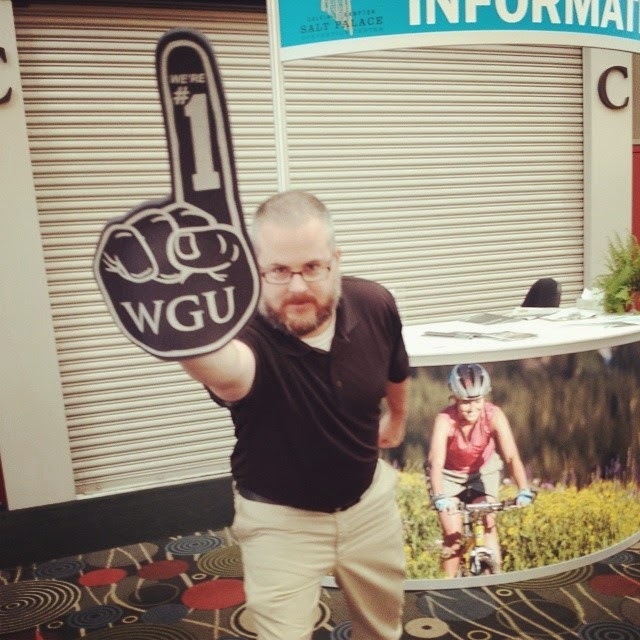 Over the next two years WGU changed my life. Not just because I had a boss and a team that supported my development and career growth, but also because I got to see what an amazing school I was working for. WGU works off a competency based model. You can take what you already know and apply it to your degree. They don’t calculate your graduation based off of how many hours you sit in front of your computer, you graduate when you have acquired the skills you will need to succeed in your career. In my time here we have become one of the largest creator of STEM teachers in the country. We have helped our nations nurses go from RN to BSN to MSN. We’ve helped IT students pair an accredited degree with the industry's top certifications. And working parents all across the country have gotten their undergraduate degrees in business and MBA’s all while maintaining a work life balance. The best part? I have had the unique pleasure of watching it all, and helping WGU grow! On my first week I wrote a goal on the little white board in my office. That goal was to “Make WGU visible.” Through the support of my management and peers here, I know I have done just that. 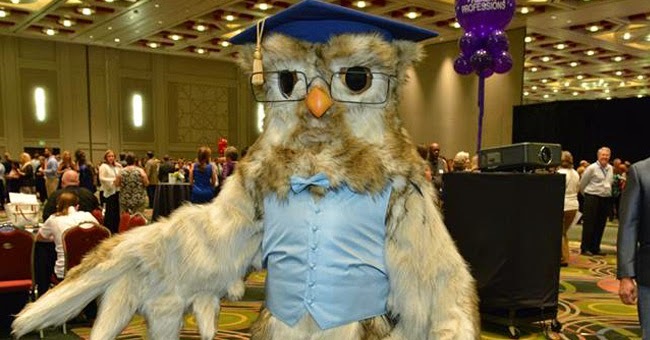 People who I helped find WGU through online search have now graduated by now. Knowing that I played an itty-bitty part in that makes me incredibly proud. So why am I leaving my job at the best online university in the history of the world? They did too good of a job. I gained a skill set that has prepared me to take on more responsibilities and eventually lead a team of people. The fact is, there are so many amazing people at WGU already doing just that. My chance to move up would probably be a long way out. I am ready now, so I am heading out on a new adventure! 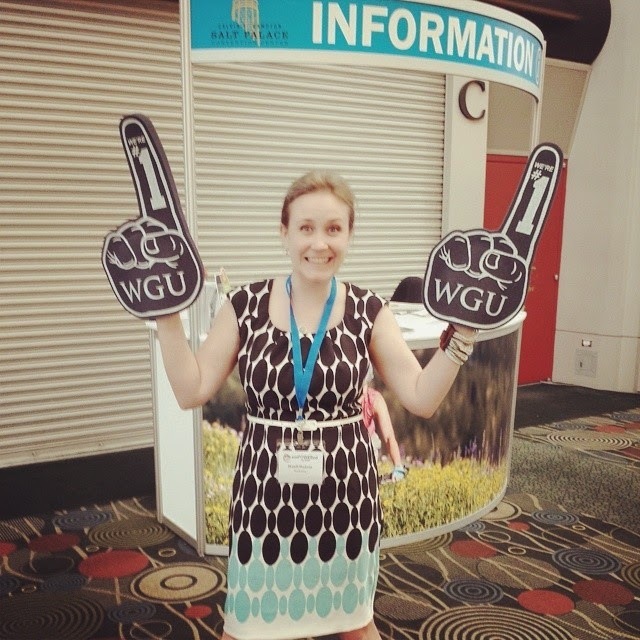 One other thing you might not know about WGU: On my second day my boss and dear friend, Mandi (remember her) told me I should start my own website. The idea was that I would have my own playground to test and grow, and ideally I could break my website instead of theirs. So I started Ask Your Dad. I have WGU to thank for helping meet all of you too! Mandi, the best boss ever... and a pretty damn good friend too. It isn't totally goodbye. Stevie will be enrolling in WGU’s College of Information Technology in the near future to finish her degree. Instead of driving to a brick and mortar school and missing out on hours of time with me and the kids, she will be able to duck into the office after Duchess and Captain have gone to bed and finish her degree in her pajama pants while I play video games in the other room! I’m so incredibly proud to have been a part of the team at WGU, and will cherish the knowledge and the friendships I leave with. I know this post might seem a bit cheesy and possibly a bit salesy. I assure you, I am not being paid to write it. I just wanted one more chance to spread the word about WGU, and say thank you to them for helping me build a life for my family. I will forever be grateful to everyone there. Tell them I said hello! 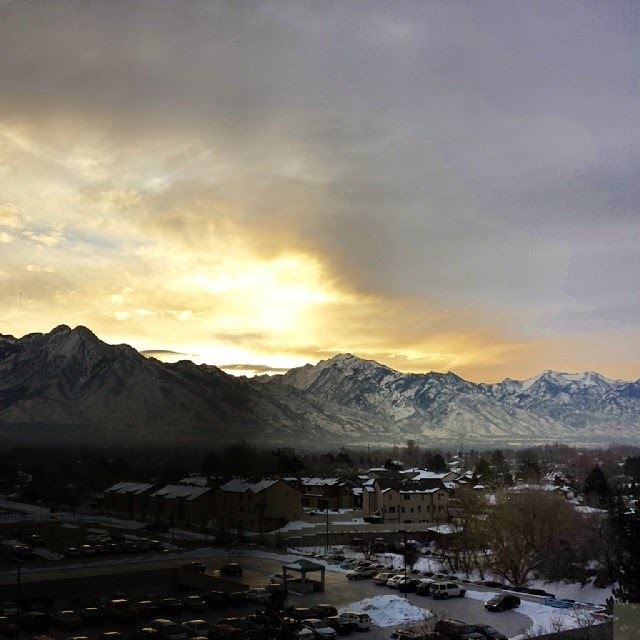 Oh view from my office, I will miss you the most. Good for you! It is so awesome when one good job can lead to other great opportunities. I used to work at a testing center that proctored WGU tests. All the students I ever spoke to had great things to say about it. I was always really impressed with the school. Good luck to you as you move on. It does sound like your last job was awesome and that your boss/friend really took care of you.